Juilliard 2000 graduate, Darrell Grand Moultrie is fast emerging as one of America’s most sought after choreographers and master teachers. 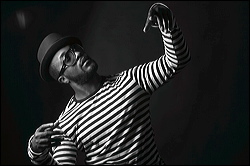 The New York Times writes, “Moultrie moves his dancers around the stage with remarkable authority and is obviously someone to watch.” Not one to be pigeonholed into any particular genre, Moultrie has carved out an impressive career that seamlessly weaves his distinctive and highly praised ballet and modern dance choreography through very diverse genres. Most recently Grammy Award-winning artist Beyonce selected Darrell as one of her choreographers for her current Mrs. Carter World Tour 2013. A recipient of a Princess Grace Choreography Fellowship Award, Darrell has created and staged his work for The Juilliard School ,Colorado Ballet Cincinnati Ballet , BalletMet Columbus, Ailey2, North Carolina Dance Theatre, Cleo Parker Dance Ensemble, Rasta Thomas’s Bad Boys of Dance, Milwaukee Ballet, Atlanta Ballet, Sacramento Ballet, The August Wilson Center Dance Ensemble, Tulsa Ballet, Point Park University, and CalArts. This Spring, Smuin Ballet will add Darrell’s work “Jazzin” to their repertoire, and Richmond Ballet will premiere a new work. 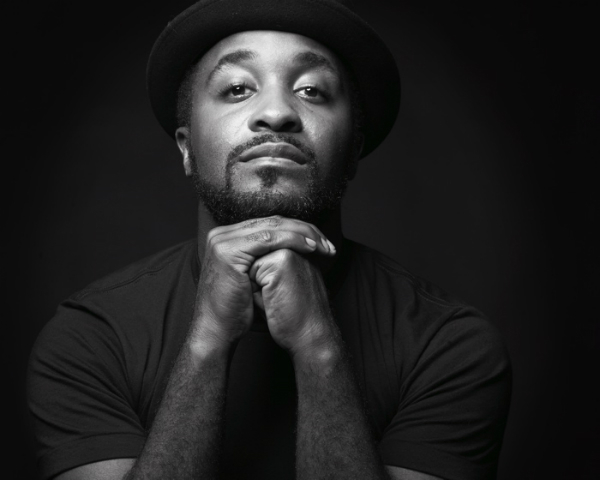 An in-demand master teacher, Darrell has coached many young dancers who have gone on to dance in Broadway musicals, major contemporary and ballet companies, and perform with top recording artists like Beyonce and Usher. Darrell has taught at many institutions across the United States including the Juilliard School, the Ailey School, Dance Theatre of Harlem, and Perry Mansfield, and served as the Director of Musical Theatre at the Harbor Conservatory of the Performing Arts. As a performer, Darrell was part of the original cast of the hit musical Billy Elliot on Broadway. He has also been seen in “West Side Story” in Milan, Italy, at the world famous La Scala Opera House, and was apart of the original workshops of the Public Theatre’s “Radiant Baby” directed by George C. Wolfe, “Sweet Charity,” and “The Color Purple.” He was seen on Broadway in the smash hits “Hairspray The Musical” with Harvey Fierstein, and “AIDA” where he understudied the role of Mereb, performing opposite Toni Braxton. Darrell is a proud New Yorker, born and raised in Harlem. Today, he is one of the few choreographers working in the theater, ballet, modern, and commercial dance genres. His heritage and world view bring a particularly unique perspective to his work within the contemporary and classical dance. 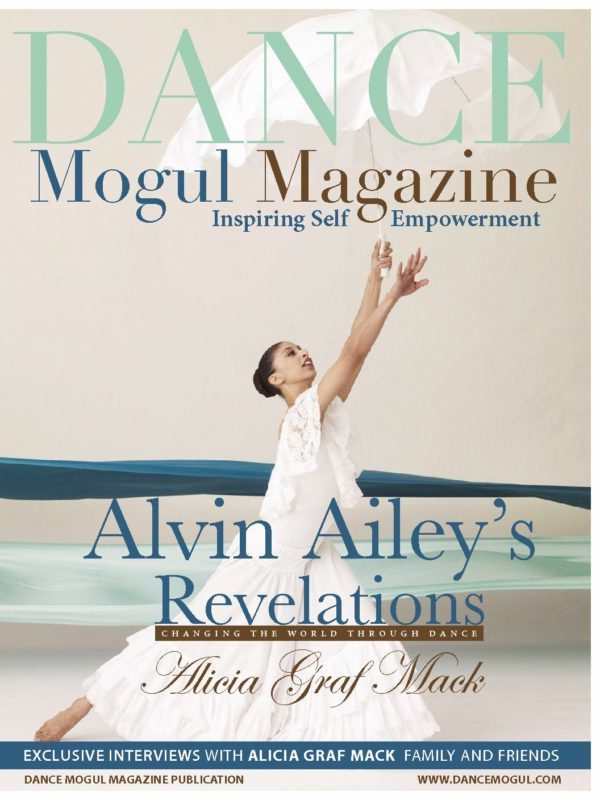 Dance Mogul: When did you develop a passion for the arts? Mr. Moultrie: I would say very young. I was born and raised in Harlem, and in Harlem, you gotta dance. Like, it’s just in the culture. Any function, whether it’s a birthday or Mother’s Day, no matter what, someone ends up in the middle of the floor dancing, young or old. As a child, I used to make up dances in the projects for the kids in the hallway. 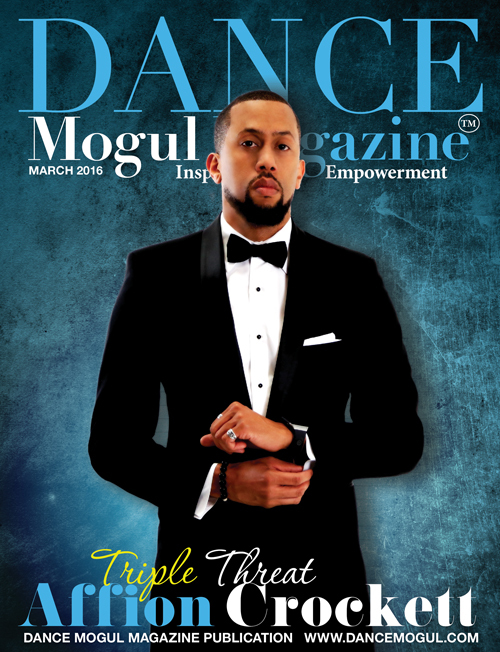 Dance Mogul: What caught our attention about you is that you are a very versatile choreographer. You’ve worked with modern companies, ballet companies, the commercial world, and from what I hear, Tony Award Winning Director, Diane Paulus ( HAIR, Porgy and Bess, Pippin) just tapped you to choreograph the original musical, Witness Uganda, that she will direct. You mentioned being raised in the projects. It’s normal in society for people to think that you wouldn’t be able to garner the success that you have based on the environment where you were raised. Who were some of your early inspirations? Mr. Moultrie: So many. Some of my early inspirations were people in my community and family members. My sister used to dance when she was young. I used to watch her in local talent shows. I was always inspired by her. Most of my inspiration came through outreach in the schools. We went to see companies like The Alvin Ailey American Dance Theater, NYC Ballet, Dance Theatre of Harlem. Dwight Rhoden’s choreography was a huge inspiration once I got to high school. 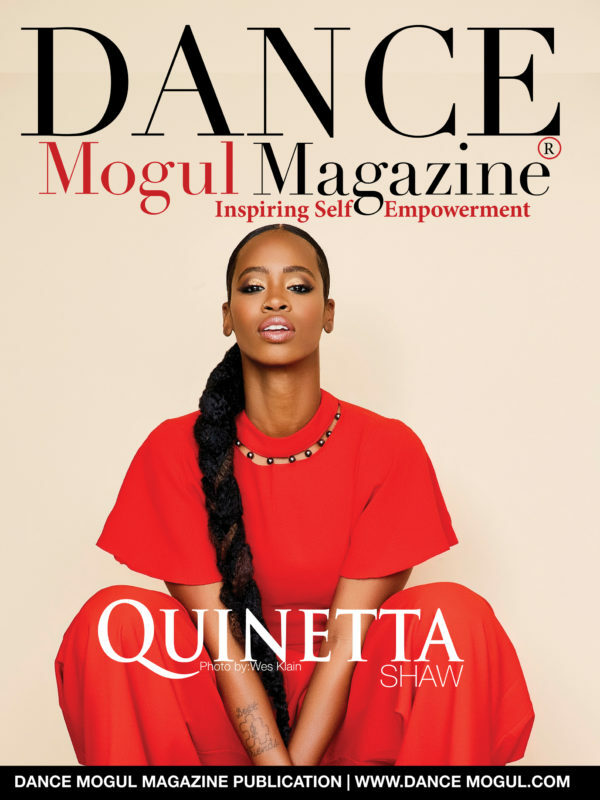 Dance Mogul: Were your parents exposing you to this stuff or was it something that you were going out on your own and seeking? Mr. Moultrie: It was teachers. That’s why I think it’s so important to teach and give back. It was a third grade teacher, Ms. Gwendolyn McLoud, at PS 144 in Harlem. She would produce and direct musicals in our schools on the highest levels. Her choice of shows were diverse and not limiting. We would perform productions like Hello Dolly, My Fair Lady, Lil Abner, and Bye Bye Birdie. She would make us watch many shows on video and she took me to see many Broadway shows. It was her and some other great teachers at a school in East Harlem called The Harbor Conservatory for the Performing Arts. 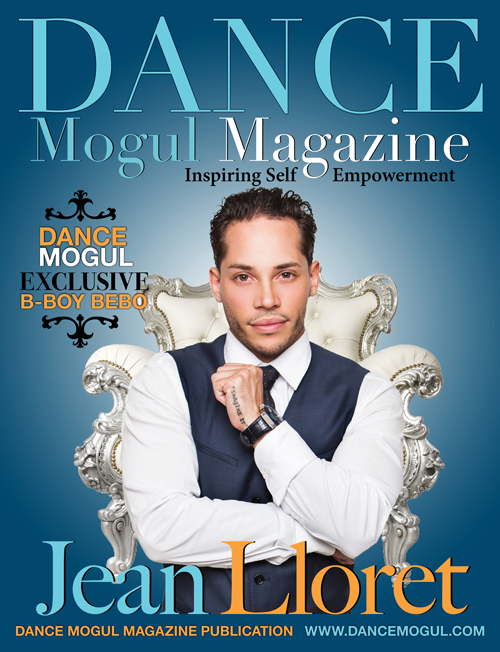 Dance Mogul: Were your parents supportive of the dancing? Mr. Moultrie: My father passed away when I was 7 so I didn’t really know him, but my mother was very supportive. She was a homemaker, so she made sure everything at home was okay so I could do the things I wanted to do on the outside. Dance Mogul: Based upon your early childhood experiences and being exposed to those different arts, how did you develop your work ethic? And when did you know that you could become a professional? Mr. Moultrie: You know what it is…Passion. At a young age, I knew what I wanted to do and what I loved, theater and dance. My teachers at The Harbor Conservatory for Performing Arts, Nina Klyvert-Lawson (Dance) and Bertin Rowser (Theater), really exposed me to so many different aspects of each genre. They were two of the people that constantly told me that I could do this and help me to take it to the next level. It was their motivation and passion for what they did that helped me to believe that I could become professional. They were teaching us how to be great artists, people, and how to take care of our business. As a teacher now, that’s exactly what I try to pass down to the next generation. Dance Mogul: I was just about to ask you that. Do you feel that that’s missing right now? Mr. Moultrie: Yes. There are so many young dancers that are clueless to what it takes, the discipline, the networking, and most importantly, self-love. You have to know your weaknesses and your strengths. I believe it’s up to the more experienced dancers and teachers to help the younger artists with that. We ridicule the younger generation for not knowing, but the only way for them to learn now is for us to give it to them. Dance Mogul: Yes, I understand. 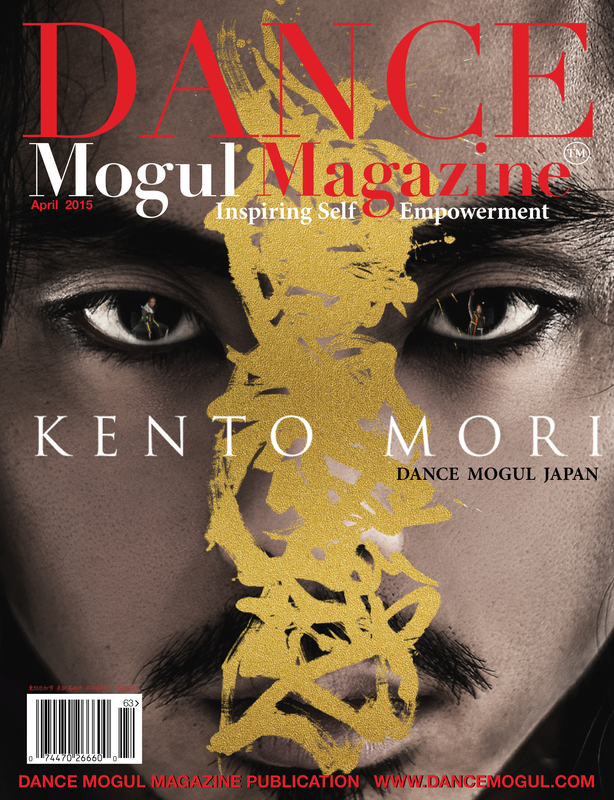 Dance Mogul: Are you afraid you teach to deaf ears sometimes? Mr. Moultrie: The ones you get, you get, and as a teacher, just accepting the fact that you’re not gonna always get to everybody. You’re not gonna get the whole group. You’re either gonna get most of them or some of them, and you’re still just as successful. You give everybody the same amount of energy, but just be okay with not getting everybody. I think the way you do it is to just do it. You gotta keep talking, and I think that’s why people don’t realize it’s so hard to be a teacher or a mentor because you gotta keep saying things over and over and over. It takes a certain kind of person to be able to teach. Dance Mogul: You’ve had numerous opportunities and accomplishments. What have been some of your most memorable that you would like to tell your kids or grandchildren about? Mr. Moultrie: 1. I think the most memorable one would be telling them how I came up as a kid from East Harlem to becoming one of the directors at The Harbor Conservatory of the Performing Arts, at a young age with some of my mentors who taught me. 2. Working as a freelance choreographer in some genres that people wouldn’t expect a young man with my background to do and succeed. 3. Getting selected by Beyonce to work on the Mrs.Carter Show was pretty huge because it was the first time I got to work on such a huge platform. I think if I had to leave a legacy behind about my career, it would be that I never let it get narrowed down to what people thought it should be. Dance Mogul: I noticed you said you were selected as one of her choreographers. Can you elaborate on how you got selected? How do you guys balance your creativity with Mrs. Carter’s vision? 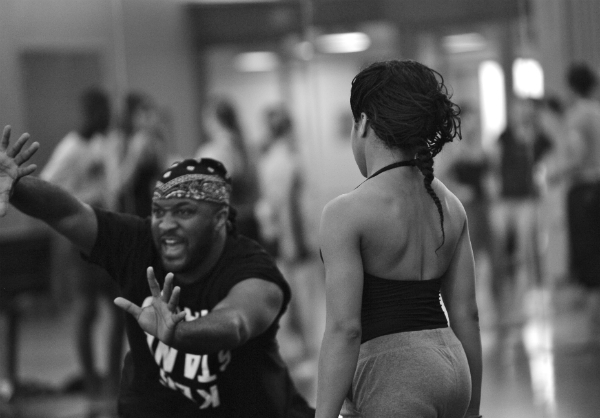 Mr. Moultrie: The way it works is, she has two main choreographers, Chris Grant, and JaQuel Knight. For this tour, she had different sections where she brought in 8 to10 other choreographers to help with her vision. I was recommended by two of her main dancers Ashley Everett and Anthony Burrell. I choreographed a solo for Ashley and also worked with her at one of The Juilliard School’s summer programs. Her creative director, Frank Gatson Jr., is the one that comes to you with the vision that she wants. You create within what Frank wants based on him knowing her for her entire career. He knows exactly what she wants and needs. Throughout this process, Frank and Beyonce are giving you notes on things they like, things they want changed and what they want it to look like. Your ideas have to flow like a faucet. If they don’t like something, you have to be able to change it on the dime. My task was to create the opening to Naughty Girl which was a burlesque type dance and to create a duet for two of her dancers for the intro to Freakum’ Dress. I think I had to change each dance 8 – 9 times before it got to the version that you see now in the show. It’s a very interesting and special situation because Frank has opened up the door for multiple choreographers to get this opportunity to be featured on their resume. At the end of the day it’s about sticking to her vision, but bringing something new to the table based on what she wants. 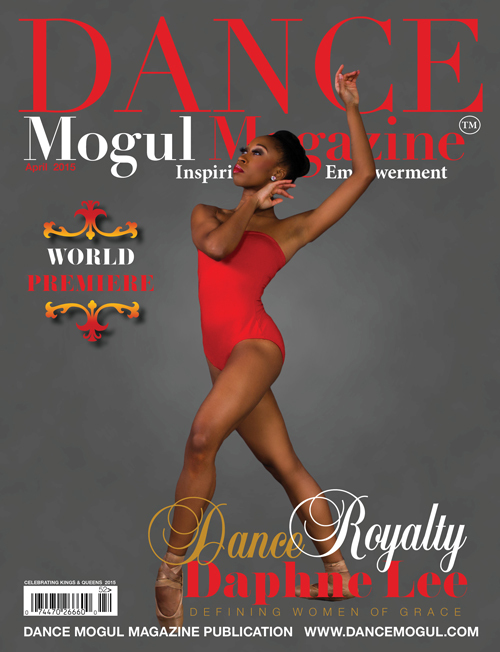 Dance Mogul: What was your most memorable moment of this experience? Mr. Moultrie: 1. Getting used to going to rehearsals and seeing Beyonce every day 10 feet away from you singing through her entire show. I really mentally had to get used to one of the world’s biggest stars going through most of her catalog you know and love. 2. There was a late rehearsal, she ended up on stage alone with her musical director. It was my last day, and I went to her to say goodbye, and we ended up sitting on stage with her. My assistant and I were getting notes on what she wanted. It was during that time, she told us how she respects and appreciates what we do. 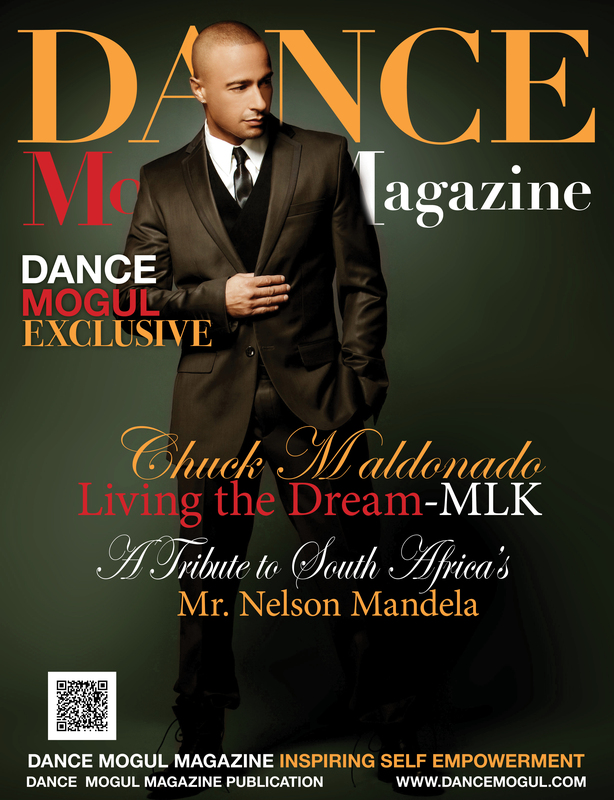 Dance Mogul: Are there any other artists you would like to have worked with? Mr. Moultrie: First person that pops in my head is Michael Jackson. I am completely obsessed with the Dangerous tour, I think I’ve watched it 3000 times. I really appreciate the theatricality of all of Madonna’s tours. The Girlie Show was my favorite. I’m open to working with any artist that appreciates creativity and are willing to spend money on it. I believe stage shows should be produced with the fans in mind. Dance Mogul: That leads me to my next question. Being that you’re a dancer in the dance industry, how important is it for the dancers in the actual dance industry to give back to the dance community at the same time while they’re still achieving and garnering success? Mr. Moultrie: It is extremely important. There is something about going back while you’re doing it that keeps you balanced. You’re always learning while teaching. It allows you to bring first-hand experience to your students. You can inform them on what’s going on, and find new and exciting ways to get them to the theater. Most importantly, you can talk to them about rejection and how real it is. I enjoy telling them about my accomplishments, but I think it’s really important to let them know the other side of the business. Dance Mogul: You mentioned legacies, so I have two questions for you. One: What would you like your legacy to be? And also, how important is it for dancers of today to leave legacies? You know, because we’ve seen people like The Nicholas Brothers, Sammy Davis Jr. and Bill Bojangles Robinson get forgotten over time, but it’s those very people who have paved the way for us to have the opportunity to dance so freely. So how important is it for dancers to leave a legacy that their children and other people’s children are gonna see 40 years from now? Mr. Moultrie: The idea of leaving a legacy is something I don’t attach to, but the idea of doing memorable work and putting your best foot forward will set a lane for a legacy. I think the word, legacy, is directly linked to the word, passion. Love what you. Do it the best that you can, and do it as much as possible. 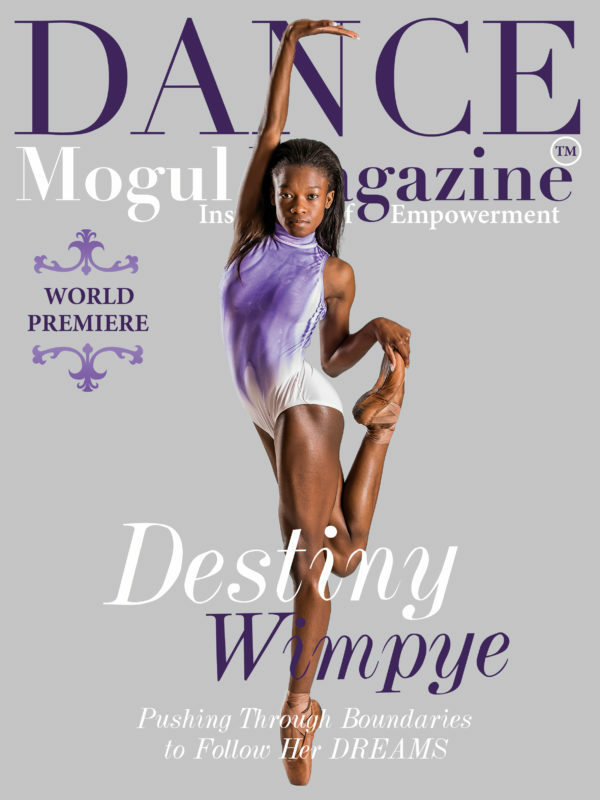 Dance Mogul: What would you say to parents that have children that are into the arts? Mr. Moultrie: Don’t put your child in dance classes or arts classes for glorified babysitting because when they grow up to love it and develop a passion, it’s not fair to tell them that it’s only a hobby, and to get a real job. Stand up and behind your kids in whatever they want to do involving the arts, and do the research and discover that there are a plethora of careers in the arts. Dance Mogul: I definitely understand. I just want to say thank you for your time because I tell everybody, you don’t have to do anything you don’t want to, and we appreciate it. Not only do I benefit from it, because I teach dance to kids as well, but I just know that your words are gonna be out there for generations because we plan on being here for a long time, so your message is gonna keep being reiterated over and over and over like how you said when you’re a mentor, you say the same things. So, we’re trying to make it easier for the kids so that if you want the information, all you have to do is go to www.dancemogul.com and then apply it. 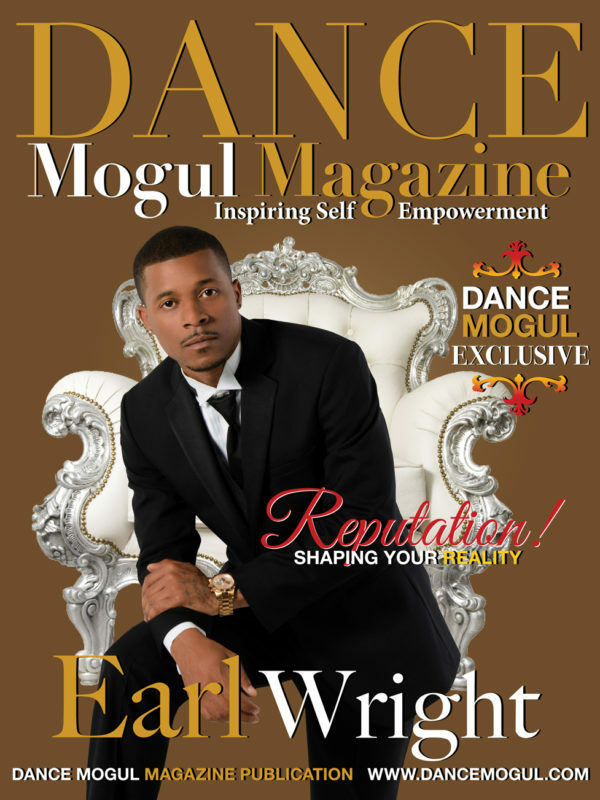 Dance Mogul: One more thing; let the people know how they can reach out to you whether it’s your Facebook, Twitter or your website.